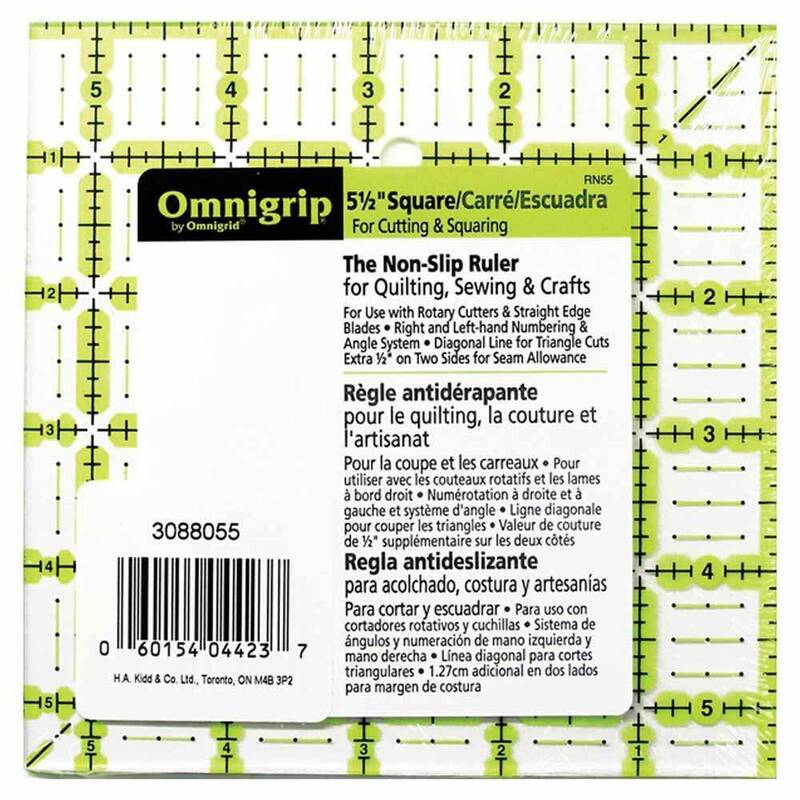 Omnigrip ruler, for quilt, Transparent, neon green double-sight lines that seem to glow on both light and dark fabrics. 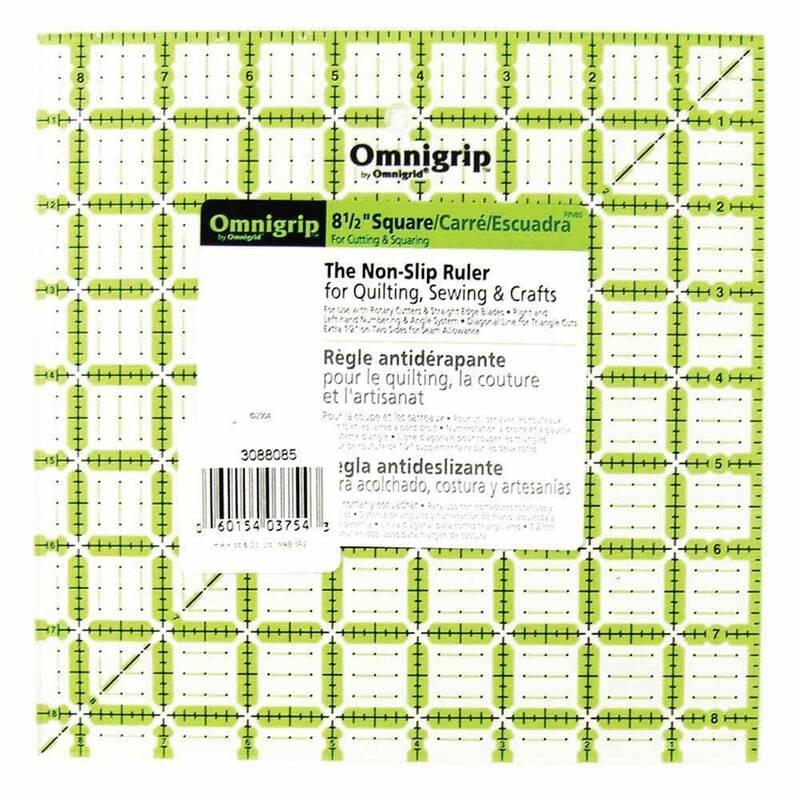 Non-slip backing. 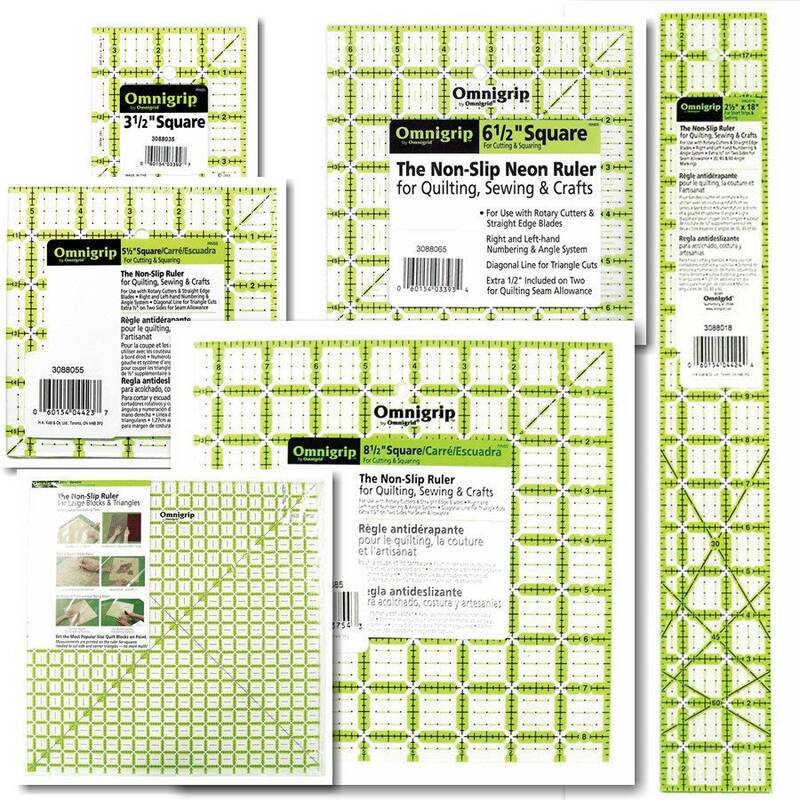 Use for cutting and squaring. 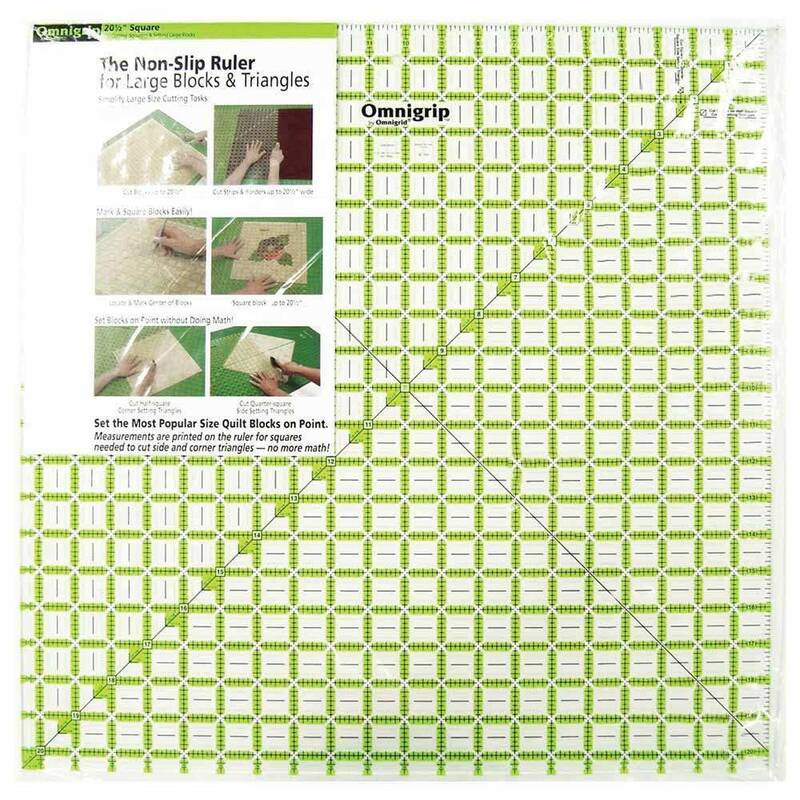 Diagonal line for triangle cuts. 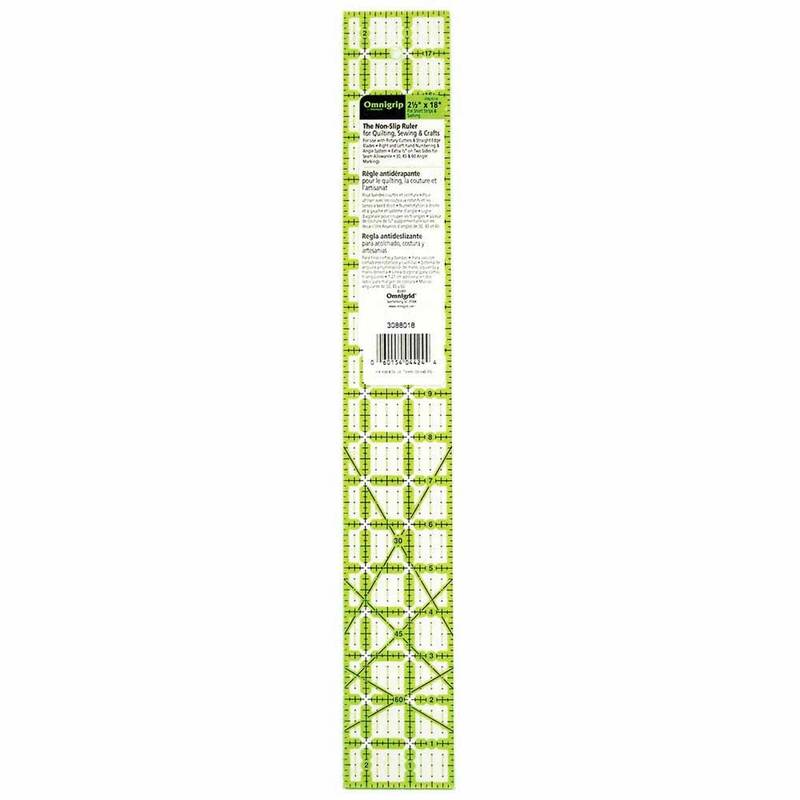 Extra 1⁄2 Inch on two sides for seam allowance. 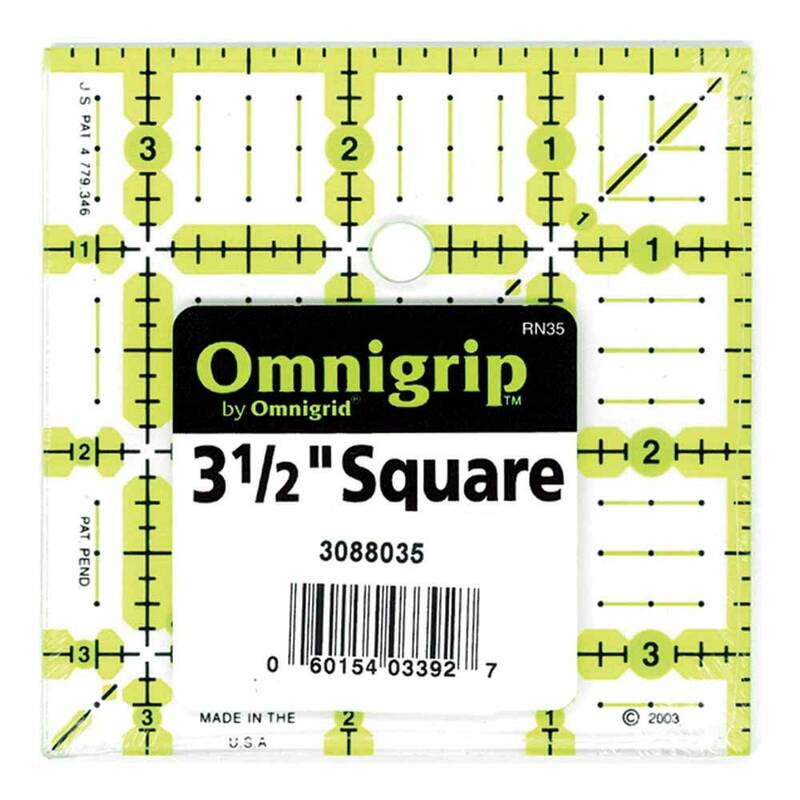 Great for miniatures and colourwash and for cutting and squaring blocks. 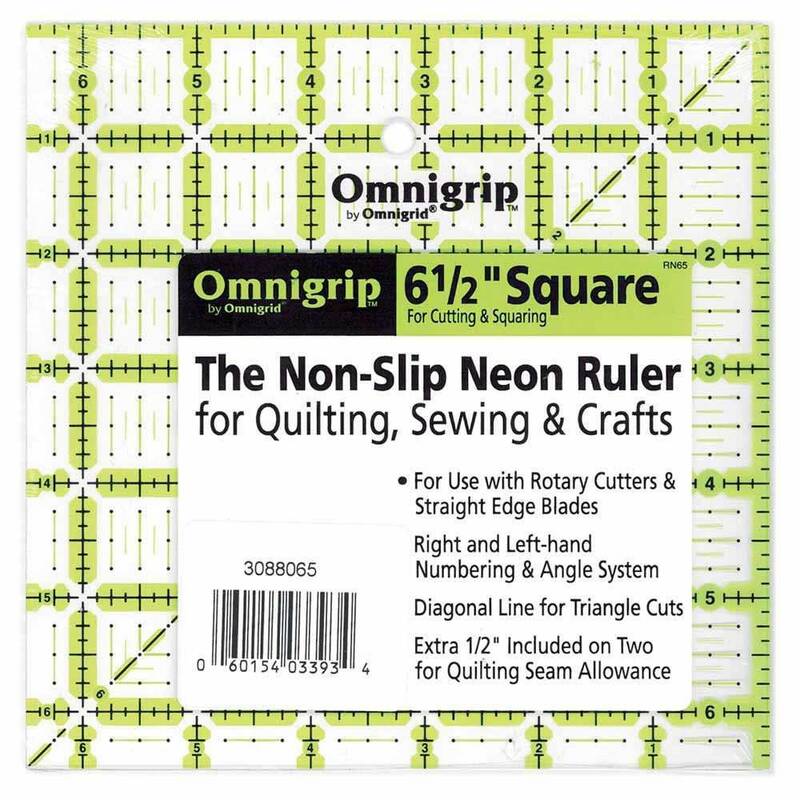 Transparent, neon green double-sight lines that seem to glow on both light and dark fabrics.